Lacey didn't know, until it was too late, how feelings, honesty, heartbreak and life altering events can change a person. Lacey has Becca’s support but will that be enough? Appropriate for readers 18 & up only! This novel contains explicit language, sexual situations and abuse that some might find offensive. Author L.U. 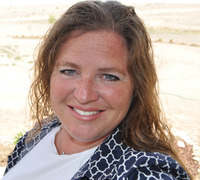 Ann recently moved to Colorado from the Eastern Shore of Maryland with her husband and two children. Life in Colorado is so much different. In Maryland, you would find her in the garden tending to her vegetables and flowers, sea glass and shark tooth hunting once a week, and enjoying the kids swimming in the backyard. Her life took a drastic change when her family moved to their own “Little House on the Prairie" at an elevation of over 6,000 feet above sea level, and a semi-arid climate that makes it hard to grow anything. While barely anything can grow where she resides now, the wildlife makes up for it. Mountain Lions, and coyotes, and rattlesnakes, oh my! She tries to spend a little time each day writing, but domestic chores around the house usually take precedence. She would much rather hide them from her husband. She tends to her loving four-legged children who at times become much too demanding when she locks herself in the office. This often results in MORE domestic work, and she finds herself cleaning up after their deviant behavior. She is an artist by the grace of God. She worked as a set designer for six years, helping establish a local children's theatre where she was the scenery artist, set, and prop designer. Before that, you would find her covered in paint, so engrossed in painting a mural that time didn't exist. Graphic design is her guilty pleasure. 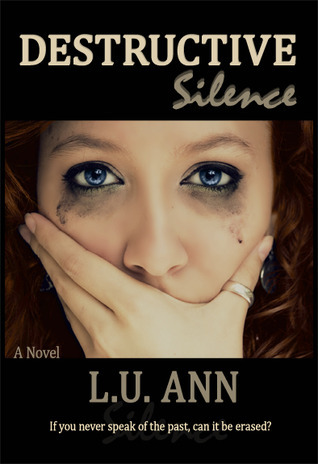 Destructive Silence is her debut novel. It is one of three books in The Destructive Series. Each book will hit its reader with lots of angst hoping for a happily ever after.